Autism-Europe is campaigning for “A New Dynamic for Autism” to pave the way for autism-friendly European Union policies within the next mandate of the European Parliament from 2019 to 2024. 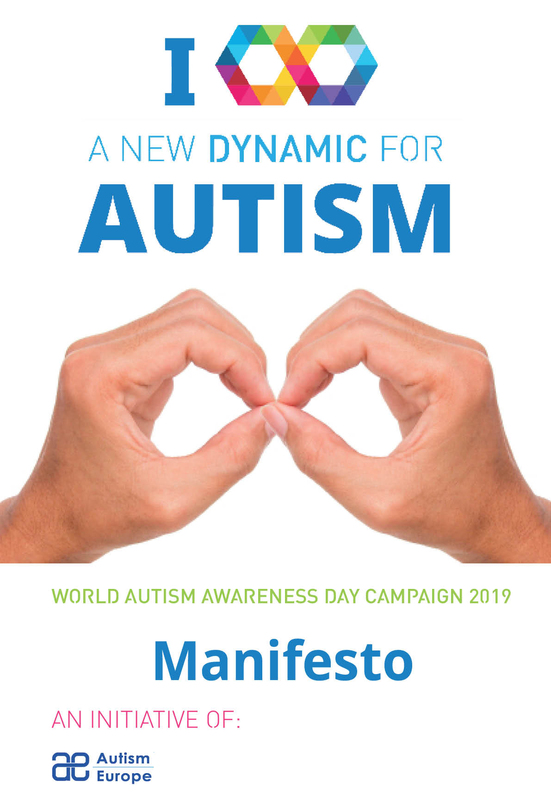 In order to set this objective into motion, AE released a Manifesto highlighting the priorities of the autistic people in Europe. AE is also asking MEP candidates to sign a pledge to support autistic people and their families in Europe. It is estimated that 5 million people are on the autism spectrum in the European Union. Most of them experience widespread discrimination in many fields of their lives as well as social exclusion. AE encourages its members and network to download the manifesto, translate it and disseminate it among policy-makers – in particular candidate MEPs from their countries – and all other key stakeholders in relation to the elections. be open to discussing issues important to the autism community with representative autism organisations. AE encourage its members and network to download pledge (available as a handout in both A4 and A5 format), to translate it, to print it and to disseminate it among MEP candidates from your country. Once signed, you can send AE scanned copy to communication@autismeurope.org. Each year, Autism-Europe works together with its member organisations to conduct campaigns that raise awareness of autism and the rights of autistic people across Europe. As part of the long-running awareness campaign to be launched around World Autism Awareness Day 2019, Autism-Europe will be focusing on the theme “A New Dynamic for Autism. I ∞ autism”.